Manchester United to spend £200 million this summer - but on who? Rumours surrounding Manchester United’s summer transfer window have arrived even earlier than usual this year, with high figures and names of players already recurring on tabloids. 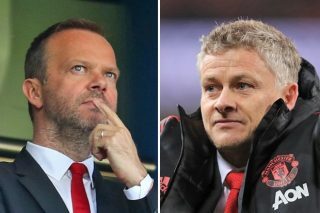 Today’s report from The Mirror is just one of the many implying that Ole Gunnar Solskjaer and Ed Woodward will spend the biggest outlay on new recruits in the history of the club this summer, with figures in excess of £200 million reportedly being prepared to reinvigorate the club’s setup. While Jose Mourinho’s early season combustion is undoubtedly a factor in United’s current struggle on all fronts, it would be preposterous to claim that even Solskjaer’s side holds up to United’s financial and historical presence in European football. Mourinho can arguably be credited for recent improvements that have seen world class players and prospects join the club, but fierce rivals Manchester City and Liverpool made more progress in the same timeframe, leaving the Red Devils in need of exactly the type of splurge that is being touted in the media. The recurring themes around the types of players being rumoured to join our age, as it was made clear by last summer’s centre-back fiasco that players still approaching their peak are ideal, and quality, meaning they can improve United’s ranks massively, nonetheless. Looking at the types of players who have been linked, it is also easy to see where the mouth-watering £200 million is headed, as Solskjaer is left to ponder reinforcements at right-back, centre-back, in holding and attacking midfield, as well as out wide. Rumours of Ander Herrera joining Paris Saint-Germain could even add another midfielder to that list. The overwhelmingly popular option at right-back is rising star Aaron Wan-Bissaka of Crystal Palace, who, according to Bleacher Report, is likely to join Luke Shaw, Diogo Dalot and Ashley Young in United’s fullback ranks next season. Jumping to the front of the pile for centre-backs is Woodwardian dream signing Raphael Varane, who is reportedly considering a move away from Real Madrid according to The Independent. United’s approach for Varane seems about as likely to bear fruit like that of Kalidou Koulibaly, who signed a contract at Napoli in December and would be the most expensive defender in the history of the game if any move was completed. Centre-backs seem likely to move all over Europe this summer, and it remains to be seen who ends up where, though everyone’s top choice is 19-year-old Mathijs de Ligt, who, despite his tender age, is a force to be reckoned with at the back for Ajax. Moving to defensive midfield, United seem to be seeking a long-term replacement for the ageing Nemanja Matic, and in signing Declan Rice, prime target according to ESPN, they’d be getting a like-for-like replacement with an even higher ceiling, even if he is still a raw talent at 20. If United fans are tired of anything, it’s being rumoured to sign Antoine Griezmann, but the rumours have surfaced again, as per the Manchester Evening News. Luckily, two marquee alternatives in Paulo Dybala, who may prefer a switch to Real Madrid, and Portuguese scoring sensation Bruno Fernandes, whose availability for around half the price and ability to play deeper in midfield may make him the favourite. Finally, salivating rumours linking Dortmund teenager Jadon Sancho to United seem likely enough to happen, given the need for a right-winger and the likely appeal of a Premier League return for the winger. Football 365 reports Solskjaer’s desire for a dynamic, young attacking trio of Sancho, Marcus Rashford and Anthony Martial, of which most would have no qualms. Sancho’s likely price tag may force United to opt for a backup option, and while his end product of 8 goals and 3 assists (WhoScored) is not fantastic, Wilfried Zaha has been very effective for Crystal Palace this season and TalkSport believes he is the immediate second choice. Reports from OneFootball indicate that United could receive 25% of any transfer fee that sees the player make a move this summer. Given the prospect of some of the names above arriving at Old Trafford, it is easy to get excited, but the summer transfer window must be carried out in a strategic manner if United are to bridge the gap between themselves and local rivals by next season. The names above likely do not even consider the idea that key players such as Ander Herrera, Paul Pogba, and David de Gea could be leaving this summer, and a move for any of these three starters would require a replacement.